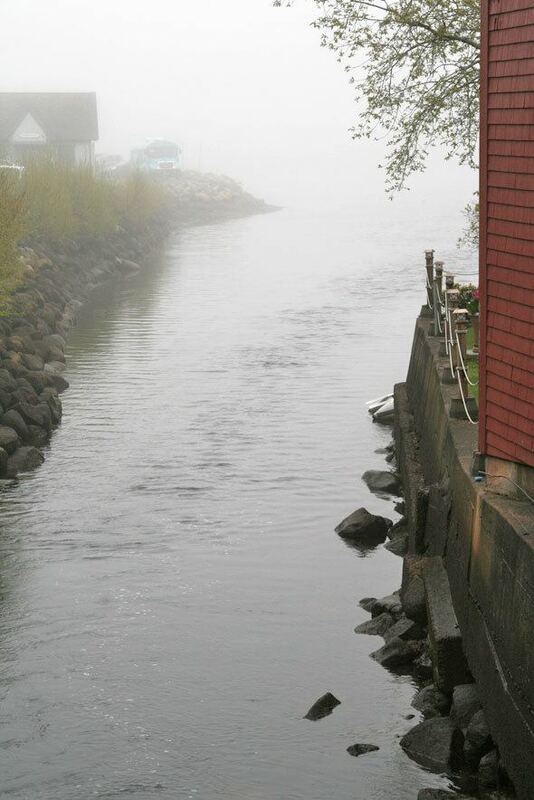 Nova Scotia, Canada is one of those destinations, where the cooler weather just adds to the charm. Is it just me who loves the brisk Atlantic breeze, foggy mornings, wearing thick cable knits sweaters, eating blueberry pie and having lobster bisque for dinner by the fireplace after a day outdoors enjoying the coastal scenes? This is how I would sum up a dreamy fall time day in Nova Scotia. I visited Nova Scotia early summer, when the nature was just starting to bloom for the season, and the weather was still nice and brisk – just how I imagine it also being now when the summer is over. 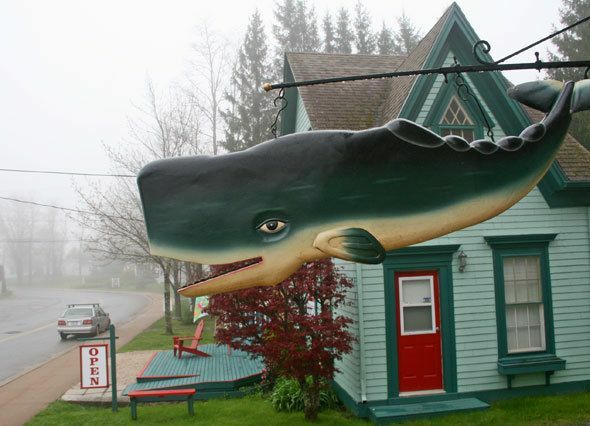 One of the day trips we did from Halifax was to drive to small towns called Mahone Bay and Lunenberg, about an hour and half away. 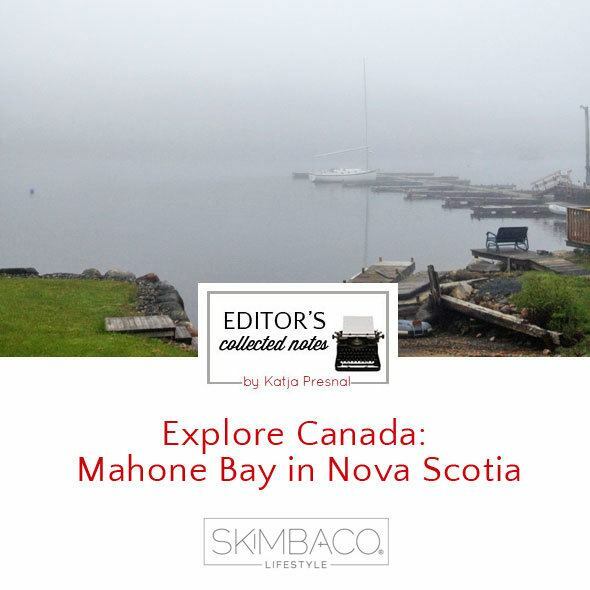 Today I am sharing photos from Mahone Bay, where I hope to make a trip back during fall when the trees have fall colors and the annual Scarecrow Festival and Antique Fair is in town. Our drive from Halifax was perfect. 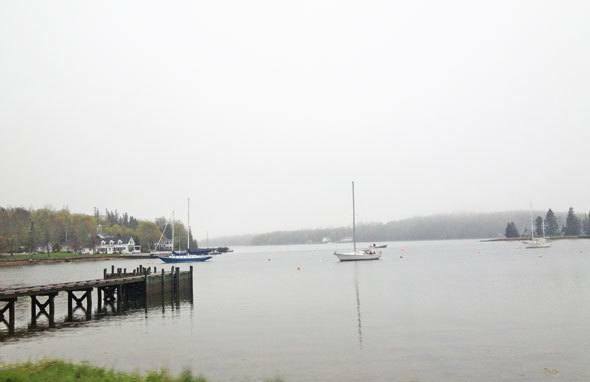 We drove by Chester Wharf, where the sailboats were docked on water, the tourist season wasn’t kicked in yet, and there was this quiet peacefulness surrounding us… well, that was when the filming crew was taking a break. Syfy channel’s original series Haven is filmed in Chester, and it has been a set for many other movies and TV shows for it’s picturesque settings and small town feel. 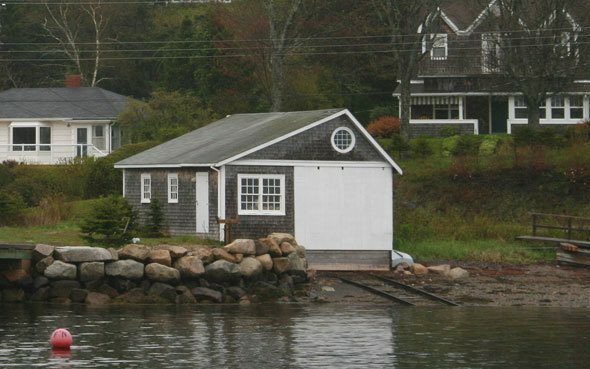 I don’t know which show they were filming at the Chester Wharf the day we visited, but I can see why Nova Scotia and Chester Wharf is a popular movie set. 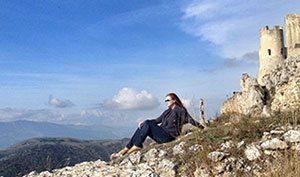 I can see suspense thrillers set in the thick fog and equally I can see romantic movies filmed in the location that is made for snuggling. Of course on summer days, I can only imagine the bay full of boats and people enjoying the day and island-hopping. There are enough islands in this area to last to visit one for each day for one full year. 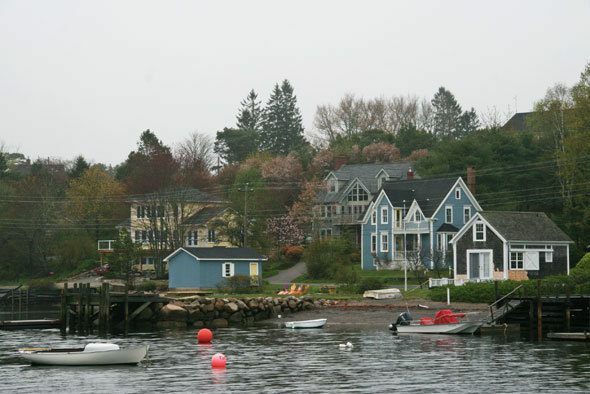 Mahone Bay’s first settlers came from Europe already in 1754, and the small town has the old time charm you can expect from a historic town. 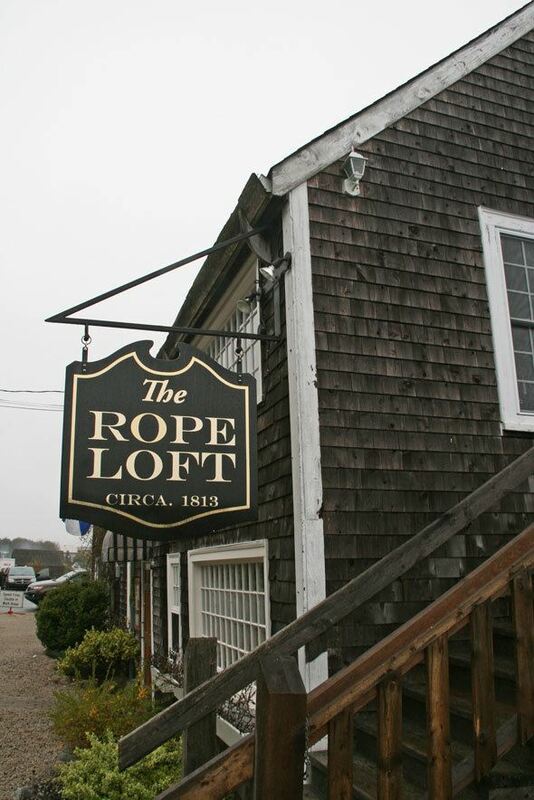 Several of the town’s houses were built already during the early 1800’s with influences from Europe and New England and they are now registered heritage properties. 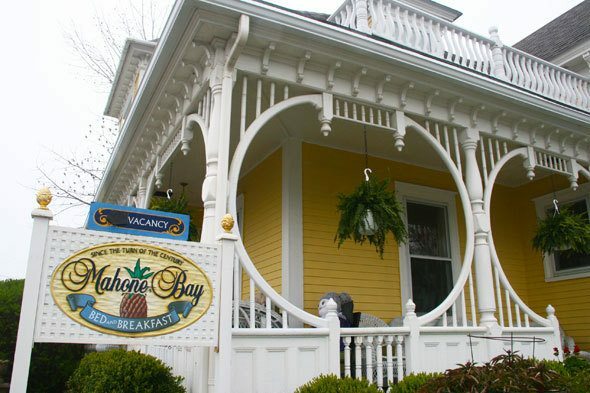 The Cape Cod-style houses are mixed in with the Victorian style houses in a perfect harmony that gives Mahone Bay its very unique feel. The town has several unique festivals and events. One of them is Mahone Bay Pirate Festival and Regatta held each August, celebrating the yachting heritage and the pirate history that is more of a collection of town-stories than reflect on actual events. 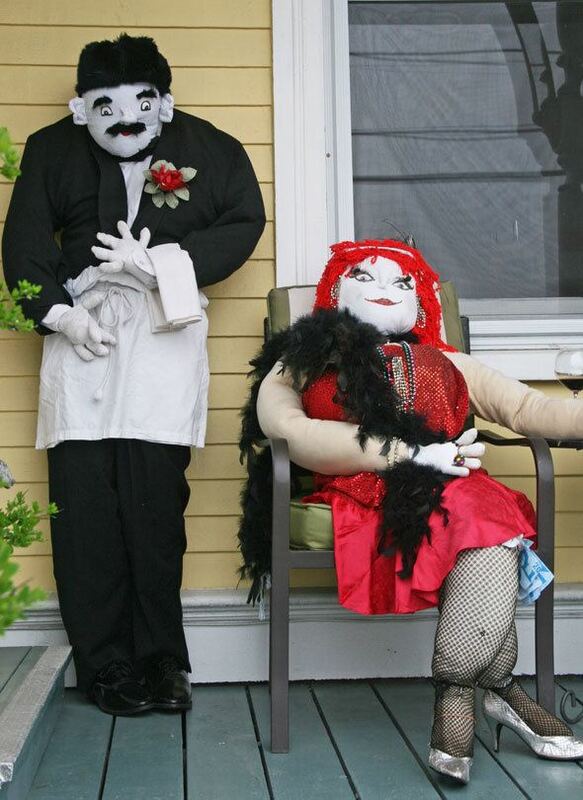 Another fun annual event in Mahone Bay is coming up in the first weekend in October – it’s the annual Scarecrow Festival and Antique Fair, where the artists and town’s people create over 150 life-sized scarecrows. 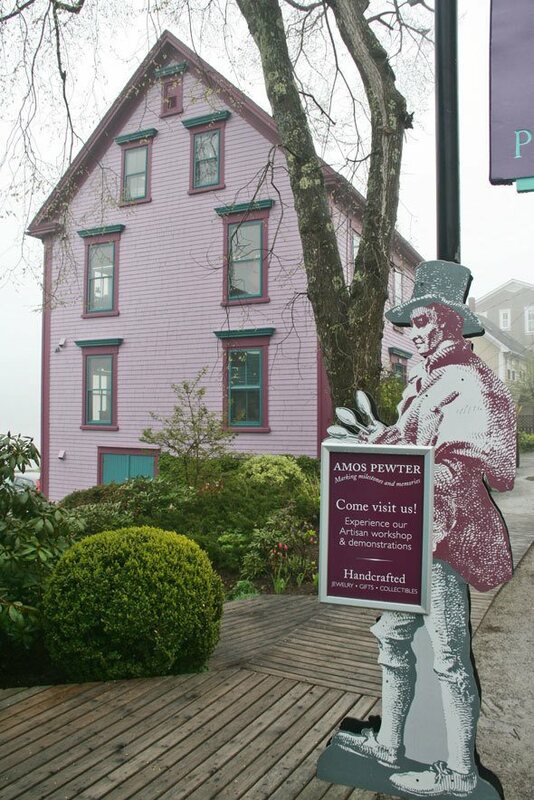 The above scarecrows were greeting us in the front of the Mahone Bay Bed & Breakfast, which looked like a perfect spot to stay over night on your visit to Mahone Bay. 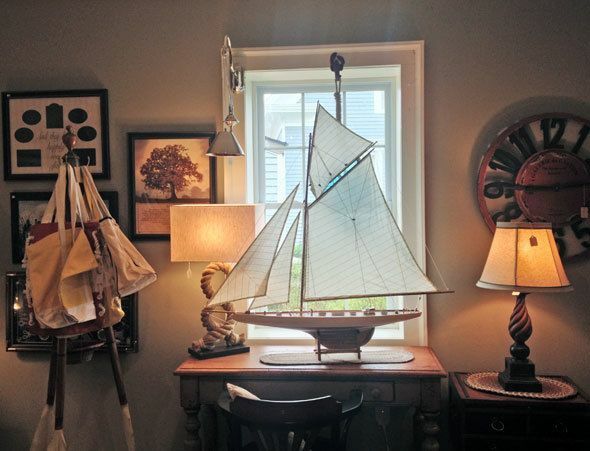 If the unique festivals or sailing lessons on the bay aren’t enough to lure you in to visiting Mahone Bay, try the enchanting little shops in town. Amos Pewter makes pewter gifts and keepsakes in an open studio, and you can see the demonstrations during shop hours. 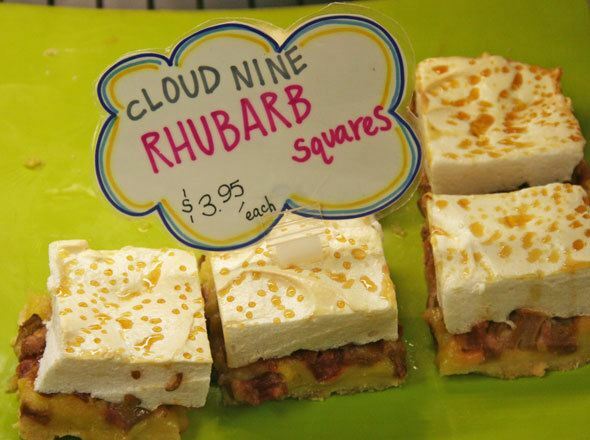 One of my favorite shops in town was Jo-Ann’s Deli Market, part bakery, part deli, part farmer’s market, owned by sunny Jo-Ann and only open half of the year for summer season because the rest of the time Jo-Ann sails in the Caribbean. 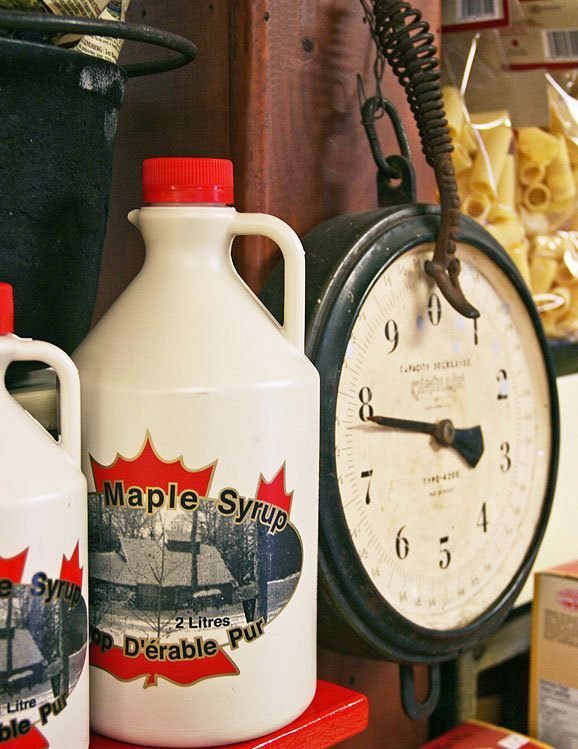 Visiting Jo-Ann’s Deli Market will give you the best idea and taste of Mahone Bay’s culinary treats and you will be able to stock up on local favorites such as dulse or maple syrup also to take home. 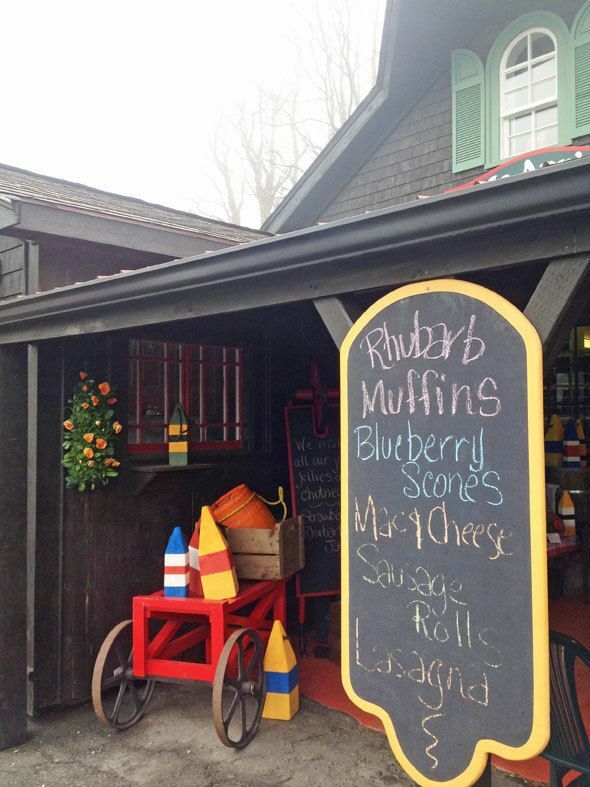 I was enticed by maple butter, the rhubarb squares and blueberry muffins. 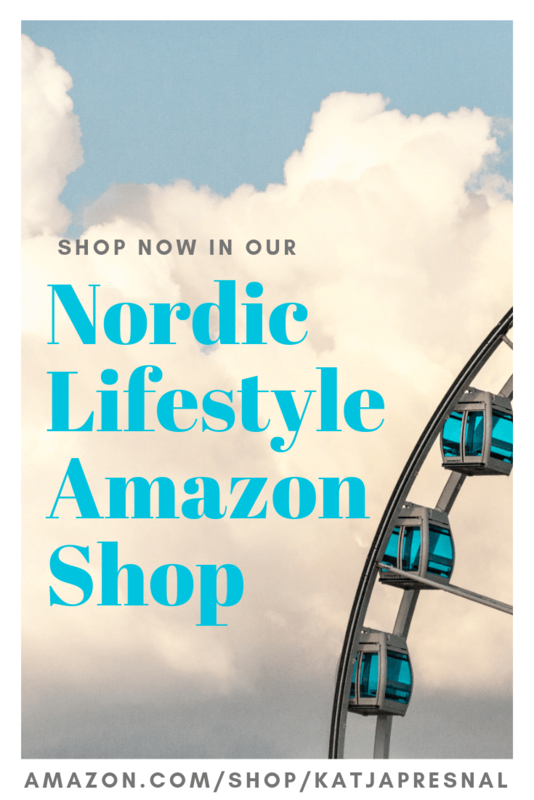 If you love home decorating, you will also love the Zack & Nemo Mercantile store on the other end of the town, only a brisk 5-minute walk away from the other end, where the Jo-Ann’s Deli is located. 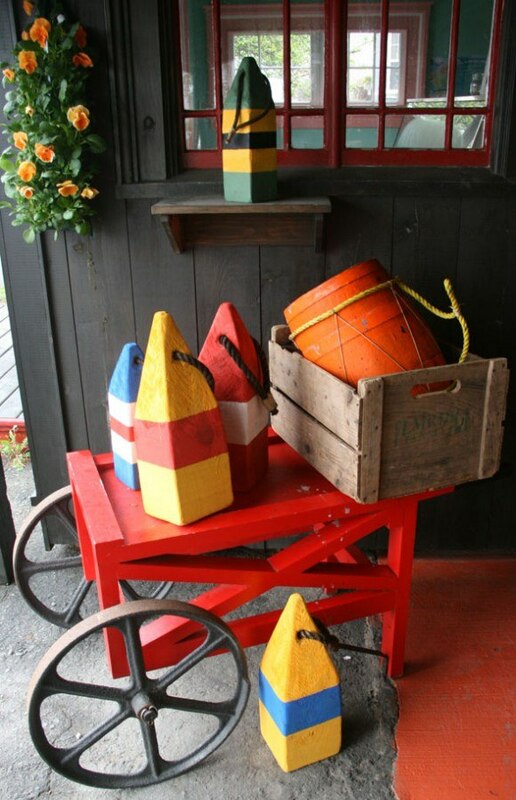 At first look Zack & Nemo looks like any other touristy small town shop with it’s mix of antique-feel home wares, Christmas ornaments and fudge counter all in one store, but once you start exploring the store you will make finds that makes you wish to move to Mahone Bay and decorate your own little fishing cottage by the sea with vintage boat buoys and ship lanterns. 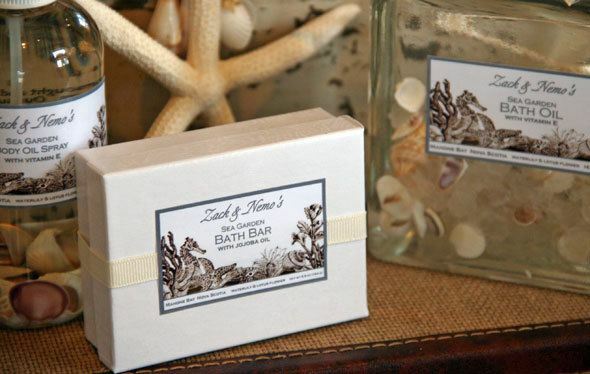 My personal favorite finds were the Zack & Nemo’s own soap, and home fragrance line. 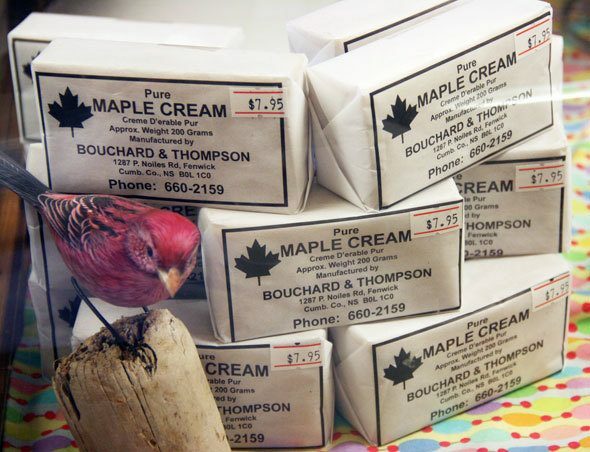 I brought some of their products home and the scent still reminds me of Mahone Bay. Read more about Nova Scotia at NovaScotia.com.